Despite high remission rates, almost 25% of patients with AML will suffer relapse 3–5 years after diagnosis. Therefore, in addition to existing diagnostic and MRD detection tools, there is still a need for the development of novel approaches that can provide information on the state of the disease. Extracellular vesicles (EVs), containing genetic material reflecting the status of the parental cell, have gained interest in recent years as potential diagnostic biomarkers in cancer. 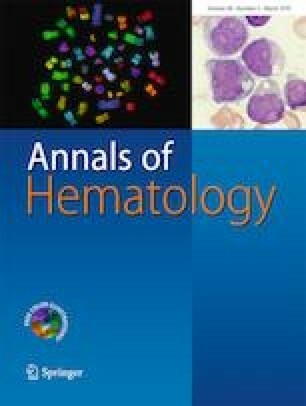 Therefore, isolation and characterization of blood and bone marrow plasma-derived EVs from pediatric AML patients could be an additional approach in AML diagnostics and disease monitoring. In this study, we attempt to establish a plasma EV-RNA-based method to detect leukemia-specific FLT3-ITD and NPM1 mutations using established leukemia cell lines and primary pediatric AML plasma samples. We were successfully able to detect FLT3-ITD and NPM1 mutations in the EV-RNA using GeneScan-based fragment-length analysis and real-time PCR assays, respectively, in samples before therapy. This was corresponding to the gDNA mutational analysis from leukemic blasts, and supports the potential of using EV-RNA as a diagnostic biomarker in pediatric AML. Fabienne Kunz and Evangelia Kontopoulou contributed equally to this work. The online version of this article ( https://doi.org/10.1007/s00277-019-03608-y) contains supplementary material, which is available to authorized users. Conception and design: BKT, FK, EK; collection and assembly of data: FK, EK, KR, MS; data analysis and interpretation: BKT, FK, EK; drafting of manuscript: BKT, FK, EK, SS; manuscript writing: BKT, FK, EK, SS; final approval of manuscript: all co-authors. This study was supported by the José Carreras Leukemia Foundation promotion grant 04 PSG/2017 awarded to Fabienne Kunz and Stiftung Universitätsmedizin Essen grant on cancer exosome research awarded to Dr. Basant Kumar Thakur. Informed consent was obtained from all individual participants (or their parents) included in the study. Each patient consented following institutional review board approval AML-BFM 2004 (3VCreutzig1).